The cooler mornings and pleasant afternoons will stick around much of the week with a slow and gradual warm up. Enjoy this picture perfect weather while it lasts! Tonight will be cool with lows in the 40s once again. Wednesday is the first day of spring. The vernal equinox is at 4:48 PM. The weather looks nice and spring-like! It will be cool in the morning with lows in the 40s and the afternoon will be sunny with highs in the upper 60s. Rain chances don’t look to return until the beginning of next week. 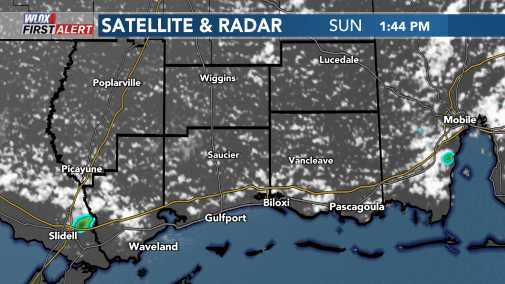 Download our FREE WLOX Weather App to your smart devices to stay up to date and in touch with the weather in South Mississippi, and you will have WLOX at your fingertips anytime, anyplace. Also follow us on Facebook and Twitter for weather updates, tropical information, tidal and marine forecasts.